For the last one decade, it is possible for us to agree that drones have been one the most exciting gadgets to use. Drones are commonly referred to as flying RC toys and they have been in the market since the late nineties. However, the consumer drones have gained prominence in the 21st century due to the technological advancements that have facilitated remote-controlled flying software as well as light and durable materials for manufacturers. Drones operate using four-fixed pitch fan blades that rotate at varying speeds in order to control the flight. For a drone to maneuver, one or two or all the blades need to increase or decrease their speed of rotation. Each drone has a propeller that is attached to an engine that makes it possible to rotate. Over the years the drone market has experienced robust changes and new products are coming in each and every time. The above drone comes with features of DJ signature technologies that make you enjoy any time of flying. The DJI Spark Drone comes with intelligent flight control panel and a camera of unbelievable quality that enables you to push your creative barriers. It has unmatched capabilities when taking aerial photos since you do not necessarily need to use the remote control approach but your hand gestures. 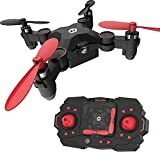 Some of the features that makes DJI Spark Drone to be considered among the top ten are as follows: It takes off and hovers just after a few seconds of powering it on, It is simple to control and take aerial photos since it only requires your hand gestures, it is also easy and convenient to create cinematic aerial videos as well as ability of taking quick shots. Despite the above drone being sophisticated, it is also amazingly easy to control and operate. The drone is equipped with a 4K camera for ultra HD videos. In addition, it powered by an intelligent control system of flight dual GPS and satellite navigation to ensure safe operations. The Autel Robotics X- comes with 10 channels making it easy to control, it also has integrated image transmission making it convenient to control the direction of flying as well as other flight parameters. The drone has a forward direction which is the nose direction and it’s useful in determining the position when the aircraft is too far to identify it. The features that come with Yuneec Q500 4K makes it possible for it to be considered among the ten best drones. Notably, the drone is designed for the purposes of aerial photography and video. In order to carry out its operations, it comes with CGO3-GB,3-axis stabilizer camera with 1080P video recording,4K video recording, and photo shoots at 12-megapixels. Some other added features that come with the drone are user-controlled video resolve, of white and light. It also comes with a personal ground station among others. The above drone is the best when it comes to underwater exploration. It is incredible when it comes to capturing the images beneath the surface of the water in the comfort of your yacht or boat. In order to facilitate capturing the images beneath the water, it comes with PowerRay Wizard Underwater ROV Kit. The underwater kit comes with wireless transmitter/controller, chargers and batteries as well as 64GB memory card. Its features make it the best bet when it comes to fishing, treasure hunting, exploring, mapping and studying marine. If you have never flown a drone before, you will be comfortable to operate Phantom 3 Standard drone and even enjoy aerial photography with ease. 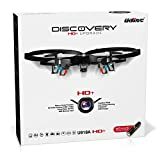 It comes with various attractive and efficient features that have made it possible to be ranked among the ten best drones. One of the unique features is the capacity to fly up to 25 minutes with an intelligent battery. 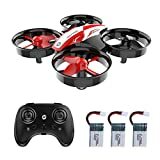 In addition, it comes with a range of accessories such as 2 full sets of propellers, 1 battery and charger, 8GB micro SD card and radio controller.it also has GPS flight features that facilitate safe flying. It’s not ranked at position five default but due to the features and efficiency, it brings in navigating high altitude. The drone has the capability of automatically taking off and reaching the designated altitude with a push of the button. In addition, it comes with other accessories such as PowerEgg base station, PowerEgg remote control, PowerEgg charger, PowerEgg stands and PowerEgg intelligent battery. The drone has the capability of capturing real-time HD video transmission from a distance of 3.1 miles. 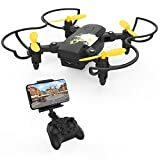 The above type of the drone is the smartest flying camera drone from the manufacturer since it allows the user to capture aerial images that are superb on the iPad or iPhone. 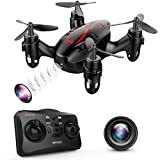 Unlike other drones, it can sense obstacles along its path then prompt itself to stop the flight or fly around the obstacle.It has advanced vision position systems that make its flight seamless and as result, it knows the location it is in, where the user is and hence flying as commanded. Lastly, it provides quality professional photo shoot. 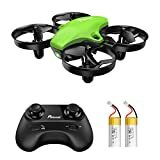 The drone has the capacity to fly for 27 minutes while other drones only do 10 0r 15 minutes. It also can fly for approximately 7 km from your pocket due to the new technology OcuSync transmission. Due to its absolute precision, it can hover in a different environment but land almost on the same takeoff point. In addition, it uses the technology of integrated high-precision 3-axis. The photo taken by the drone is of high quality despite the altitude. The drone is specifically built for aerial cinematography and photography since it brings unmatched imaging as well as the quality of the three integrated 3-axis gimbal camera that gives you the opportunity to shoot and complete the job like never before. As for the year 2016, it was considered the king of drones for the year. In addition, it has a ready-to-fly aerial system and dedicated remote with camera controls. Lastly, it comes with live, wireless HD transmission that makes it efficient. 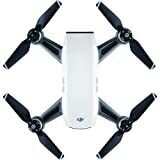 DJI Inspire 2 Drone is the king of drones of the year 2019.DJI is superior compared to the other drones due to its speed and accuracy. It has the capability to accelerate to 50mp in a span of four seconds and reach the maximum speed of 67 mph. In addition, its speed does not compromise the battery life since on board it has two LiPo batteries that can sustain its 27-minute flight. 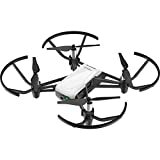 It has advanced copter features to detect obstacles among others.